After a week of cold mornings and sunny blue skies, the Gold Coast is forecast today (Saturday 28 June 2014) to have scattered showers and isolated thunderstorms this afternoon or evening, possibly severe with damaging winds. 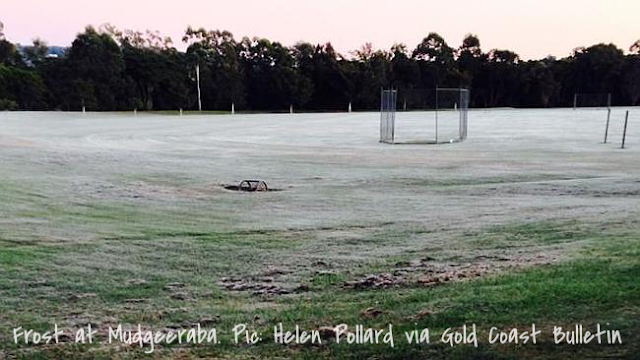 Yesterday (Friday 27th June 2014) was officially our coldest morning this year reaching 2.4°C (or 36.32°F) at Coolangatta Airport and 6.9°C (or 44.42°C) at the Gold Coast Seaway. Today however our lowest temps were only around 11-15°C and a warmer top daytime temperature expected of 24°C (or 75.2°F). It will be partly cloudy until scattered showers develop during the day along with the possible storms with damaging winds. Outside of any storm activity, winds will be northwesterly 20 to 30 km/h tending northerly 25 to 35 km/h in the early afternoon then turning west to northwesterly 20 to 30 km/h in the evening. However after today and our little taste of summer in winter, low temps and clear blue skies will be back from tomorrow (Sunday) until Tuesday.